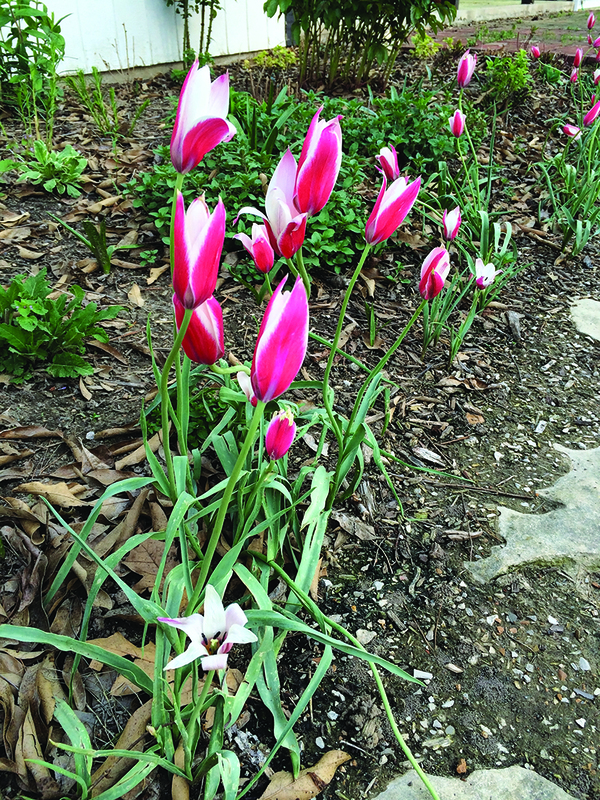 Local landscapers share their favorite naturalizing bulbs. Crocus. Debi Graeler, Chesterfield Valley Nursery. Globemaster Allium. Ann Lapides, Sugar Creek Gardens. Snowdrops. Daniel Mee, Frisella Nursery. Giant Allium. David Sherwood, Sherwood's Forest. Daffodils. Katy Molaskey, Green Guys. Peppermint Stick Tulip. Cathy Pauley, Papillon Perennials. “These little goblet-shaped flowers are the first sign of spring. 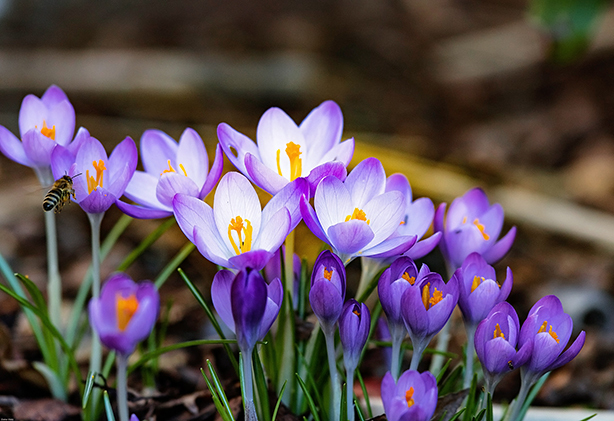 Crocus's vibrant purple bloom can pop through an early spring snow to let us know that warmer days are soon to come. Plant them in flowerbeds, rock gardens or at the base of trees and shrubs. Soil can be less than desirable as long as it is not heavy clay. They are also deer resistant, which bodes well in our area.” Debi Graeler, Chesterfield Valley Nursery. 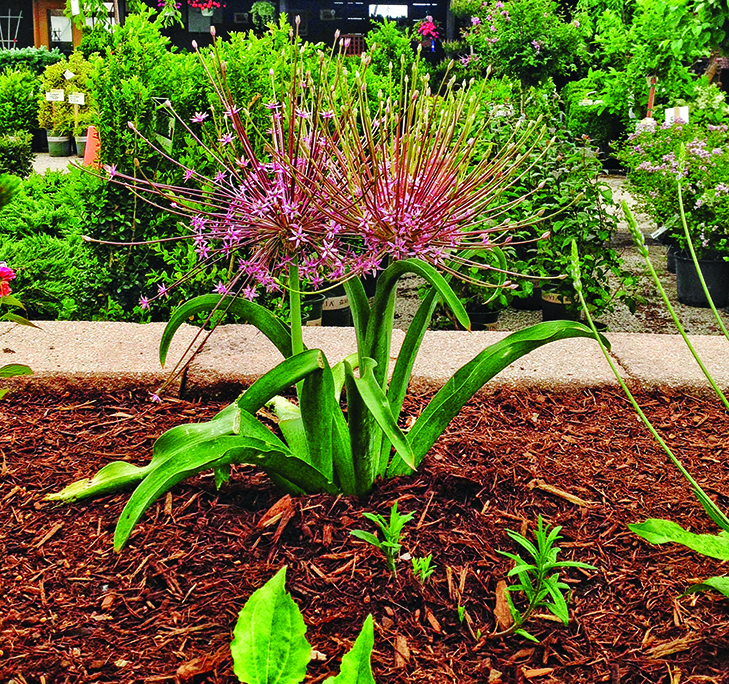 “A crowd favorite, Globemaster Allium brings fun and whimsy to the garden with its huge 6"-10" globes of lavender star-shaped florets. In the garden, its round orbs dry on plants for considerable interest. Globemaster’s stunning blossoms can create unforgettable arrangements. Its showy flowers last for months in dried arrangements. Flowers appear in late spring to early summer.” Ann Lapides, Sugar Creek Gardens. 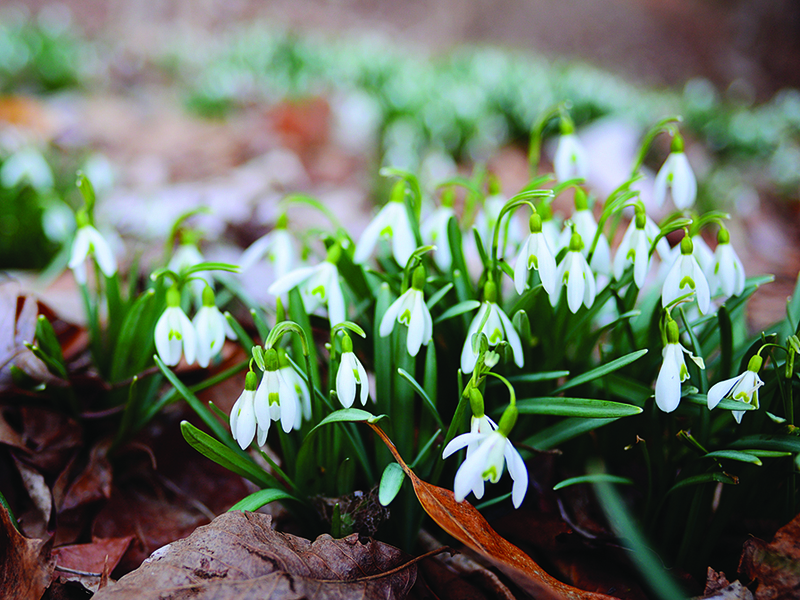 “There are many naturalizing bulbs out there, and one we believe often gets overlooked are Snowdrops. These small bulbs produce an abundance of elegant white blooms with green markings and are a serene indicator that spring has arrived. In the St. Louis area they bloom from late February to late March.” Daniel Mee, Frisella Nursery. 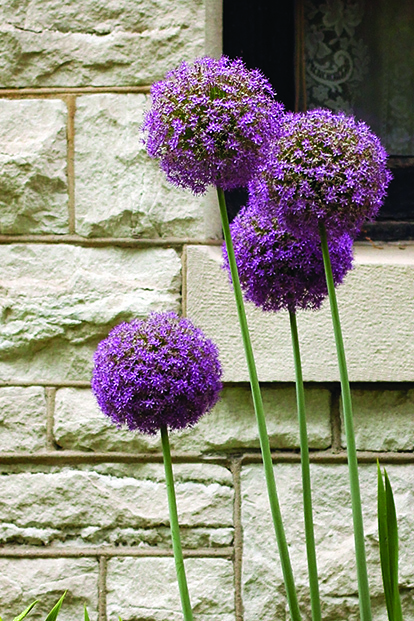 “The giant Allium comes in many types and bloom beautiful shades of purple in the spring. Allium also comes in a dwarf clustering type, which is great for mixing with the giants for a naturalization.” David Sherwood, Sherwood’s Forest. “My favorite naturalizing bulbs are Daffodils. They’re a standard, classic bulb but you cannot beat the show they put on as soon as winter turns to spring. 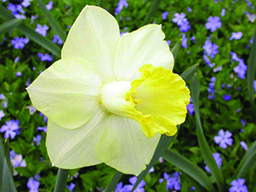 Large drifts of yellow Daffodils that meander through later-blooming perennials are a great way to feature the happy little plants in a garden.” Katy Molaskey, Green Guys. “This is tulip `Peppermint Stick'. It is one of the few deer-resistant tulips you can buy. It only grows 6"-8" high but will multiply and naturalize very nicely. It needs to be planted in the fall in sun-to-part shade and blooms mid spring. It makes a good front of the border plant. Too cute!” Cathy Pauley, Papillon Perennials.